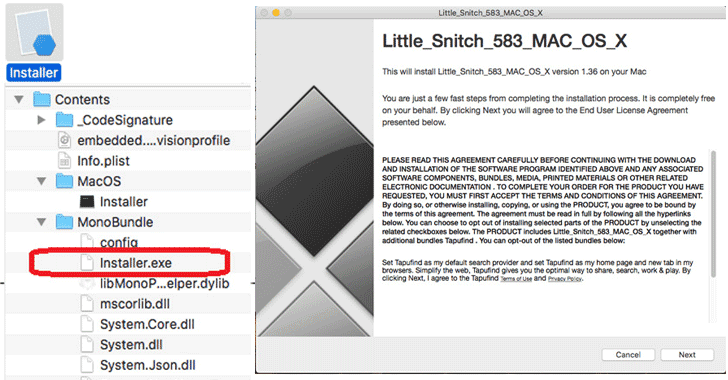 Security researchers at antivirus firm Trend Micro have discovered a novel way hackers are using in the wild to bypass Apple's macOS security protection and infect Mac computers by deploying malicious EXE files that normally run only on Windows computers. Mono is an open source implementation of Microsoft's .NET Framework that allows developers to create cross-platform .NET applications, which work across all supported platforms, including Linux, Windows and Mac OS X. "This routine evades Gatekeeper because EXE is not checked by this software, bypassing the code signature check and verification since the technology only checks native Mac files," Trend Micro said in a blog post published Monday. During their analysis, the researchers found "no specific attack pattern" associated with the malware, but their telemetry showed that the highest numbers for infections existed in the in the United Kingdom, Australia, Armenia, Luxembourg, South Africa, and the United States. 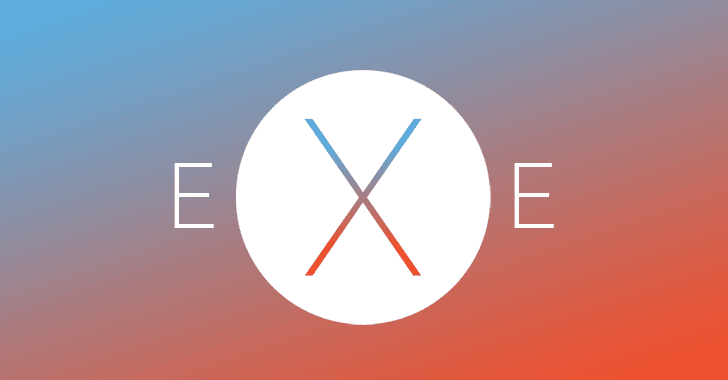 "Currently, running EXE on other platforms may have a bigger impact on non-Windows systems such as MacOS. Normally, a mono framework installed in the system is required to compile or load executables and libraries," researchers explained. "In this case, however, the bundling of the files with the said framework becomes a workaround to bypass the systems given EXE is not a recognized binary executable by MacOS' security features. As for the native library differences between Windows and MacOS, the mono framework supports DLL mapping to support Windows-only dependencies to their MacOS counterparts."